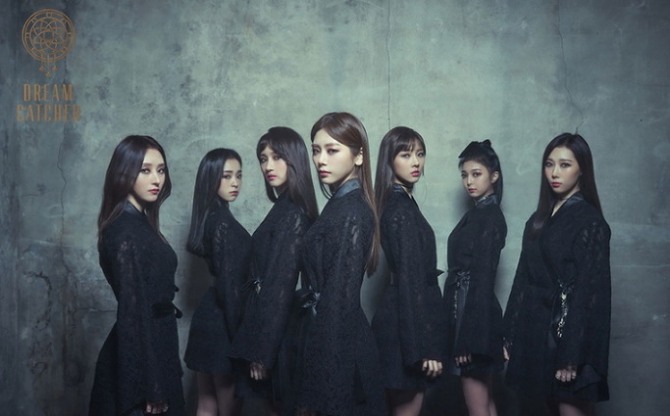 Dreamcatcher is a name that sticks out in the K-pop scene as an act whose sound is not familiar to most K-pop listeners: Its songs are heavy and rich with blaring metal elements, often referred to as the so-called Japanese anime style. 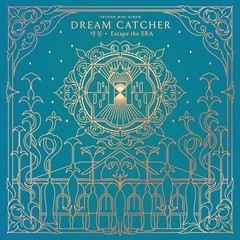 As an act that values consistent concept in each album, Dreamcatcher’s recent EP “Escape the Era,” follows in the footsteps of the group’s past works. The only difference is that the act is in full-swing in revealing its rebellious and original nature. Opener “Inside-Outside” is a mystical instrumental track that could be used as a soundtrack for an online game, a preview for the rest of the tracks that echo the first-runner’s fantastical take. The lead track “You and I” and “Mayday” are two numbers that best reflect Dreamcatcher’s sonic style, reminiscent of a Japanese anime tune. For those who have grown tired of K-pop songs that blatantly parrot tales of “love” and “breakup,” those two songs’ dark and whimsical concepts may come as a fresh shock. It’s like jumping into choppy waters and getting swept away by enormous waves, which in sonic terms means pounding electronic guitar riffs and soaring vocals. Upon reaching “Scar,” another metal-rock tune slightly brighter than the previous two, the group’s defiant nature stands out more than ever. Some have compared the group to fellow K-pop act GFriend and Japanese female metal trio Babymetal. But Dreamcatcher’s incorporation of Japanese-anime tune is moderate; denser than its Korean counterpart and weaker than the Japanese band. But still, it’s hard to erase the impression that the group might have a blueprint for entering the Japanese market in the future, with many listeners suggesting the group cover Japanese anime soundtracks in Japanese. Dreamcatcher’s original musical approach is still testing the water of the K-pop industry, taking some time to make a major splash. But the future bodes well for this notable group.